Being eclectic is one of the greatest things in the world. Very it’s being exotic with your taste in fashion, or food, or preference of the colour of your wee wee it’s something that adds a little colour and personality to life. It’s basically Adventure Time in a word, and that’s awesome. 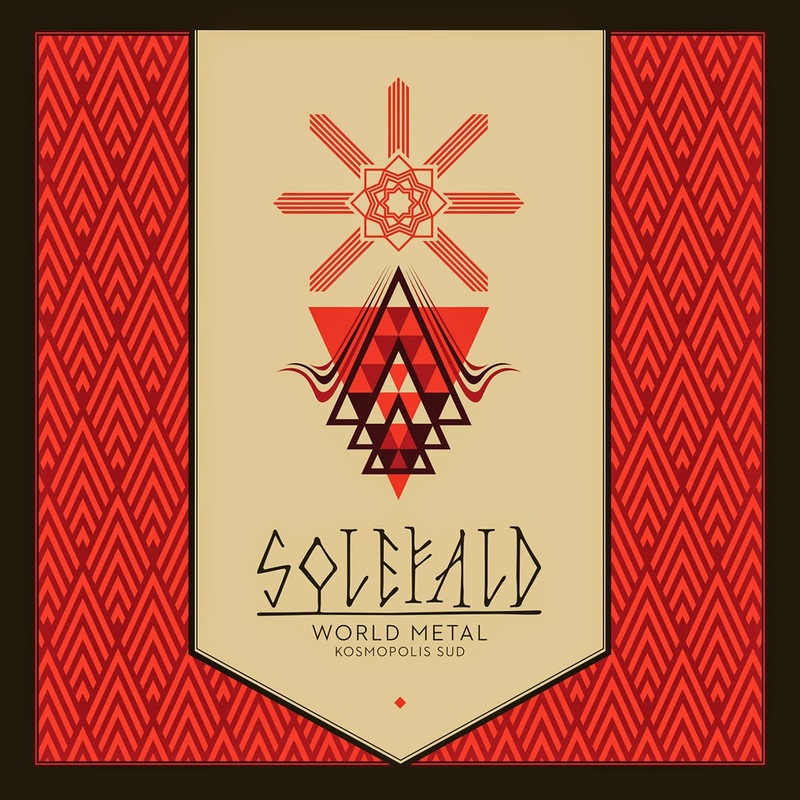 Solefald are a band who takes the word to extreme levels of wonderfulness however, as their new album World Metal. Kosmopolis Sud is quite possibly the greatest most exotic album I’ve ever heard. It’s musical diversity gone mad, and it’s brilliant. Usually whenever I hear the word eclectic I think back to my days as a 14 year old who constantly hung around the skatepark and tried to fit in with various people who were forever changing their hair to represent some sort of follicle rainbow and said things like “rawr” and “rofl lmao” and it often fills me with disgust and heavy regret. However the standout compliment that can be said about Solefald is that they freakin’ own this sound. They take elements of everything to produce a sound that broadens the metal genre into one gigantic atmosphere, and World Metal. Kosmopolis Sud is the grand canyon of it. The opening track alone is a wonderful introduction into the superb songwriting craft of Solefald. World Music with Black Edges features grittiness, harmonies, tribal drumming, trance sections and just every other sound in the world to become this encyclopaedia of music, and this is repeated throughout the album. There’s dubstep mixed with Rammstein-esque battle music on The Germanic Entity and I can’t even begin to describe the intro to Bububu Bad Beuys. What’s fantastic about this record is that despite its numerous change ups and dips and dives into different avenues it is somehow neatly kept on the same path throughout. While nothing sounds alike it’s almost as if we were briefed about it beforehand, because immediately it lets us know that hey, it’s gonna be crazy but get comfortable. I honestly get comfy as dicks listening to this record, and just let everything that happens happen, because no matter what, it’s always going to amuse, inspire, and entertain in the best way possible. World Metal. Kosmopolis Sud is genuinely one of the most diverse, entertaining and original records I’ve ever heard, and the greatest thing it has going is that it all sounds so very good. I love everything about this record, especially the fact that I can listen to it over and over again and still have no idea what’s going on. It’s astounding, and fantastic. For more music reviews, free downloads and I imagine this is what insanity sounds like check out Exploding Head Syndrome on Facebook and Twitter.